may the light of your love enfold me. may the strength of your love support and hold me. 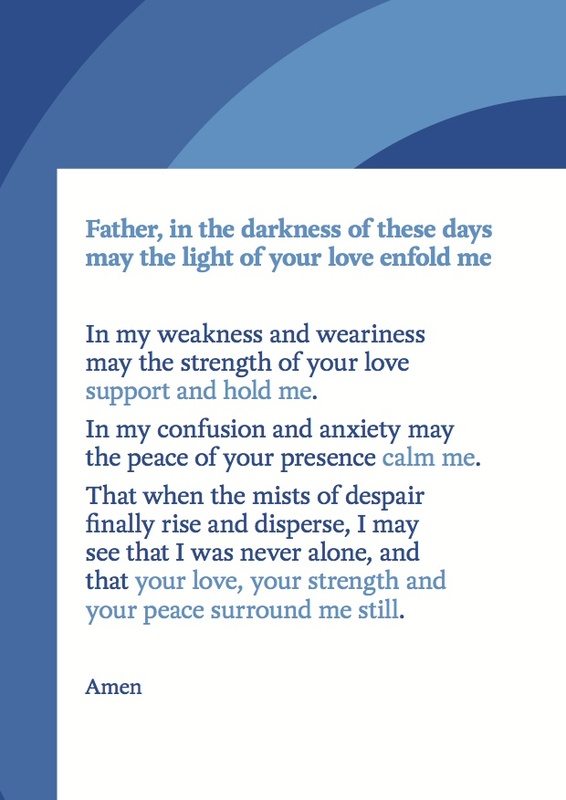 In my confusion and anxiety may the peace of your presence calm me. I was never alone, and that your love, your strength and your peace surround me still.